"A charming start to a "fixer upper" cozy mystery series!" 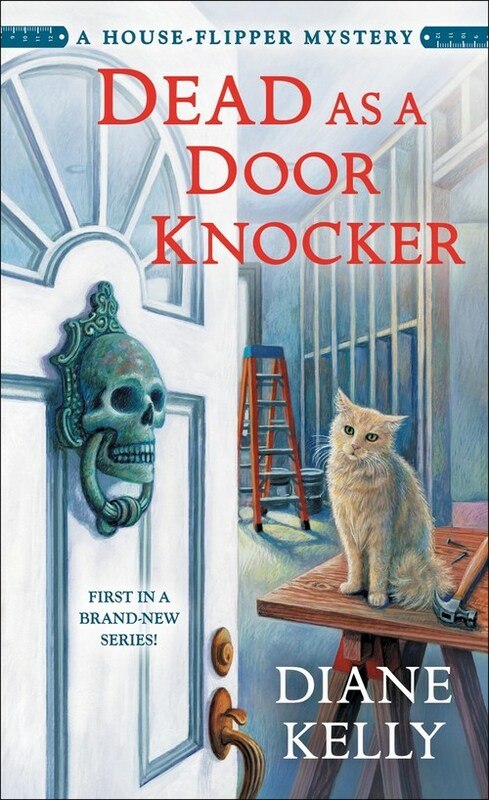 DEAD AS A DOOR KNOCKER is the first in the House Flipper Series by Diane Kelly, a mystery that keeps you entertained and guessing who done it? 28- year-old Whitney Whitaker calls Nashville home. She lives in her parents' backyard in 150 sq. feet of renovation to their pool house. She shares it with her cat, Sawdust. While many women her age are interested in clothes, Whitney prefers her coveralls and tool belt holding her dead blow hammer. She works for Whitaker Woodworking, her cousin's firm, where they produce great projects with pride, made with real wood. Whitney is a certified carpenter. She also works as a property manager for Home & Hearth. She dreams of owning her own home. Whitney saves most of her earnings and finds she is able to housesit and watch her parents' dog when they travel. She still has her freedom and the price is right! Whitney and Sawdust are spending the first night at the house when there's a fire and they barely escape from the house in time. Dunaway is murdered and his body is left in the front flower bed. Handsome police inspector Collin Flynn arrests Whitney for the murder, but she knows she's innocent... who is trying to frame her? DEAD AS A DOOR KNOCKER is a good mystery with interesting characters, nice locale, and will have you quickly turning the pages until the end, and still wanting more. An easy cozy read and I can't wait to read more in this series! I especially want more eye candy from Inspector Flynn. Will I get my wish in the next sequel? Great job Ms. Kelly!